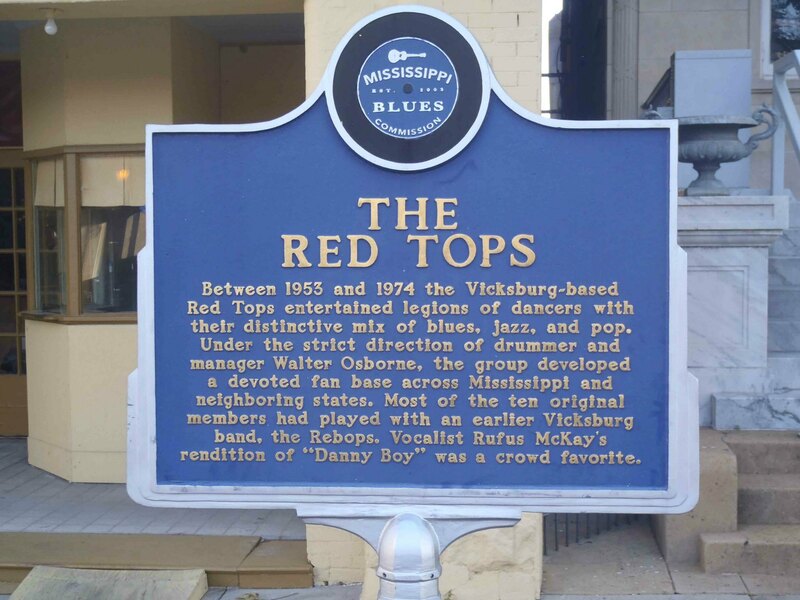 The Mississippi Blues Trail marker commemorating the Red Tops is in front of 721 Clay Street, near the intersection Clay Street and Walnut Street, in downtown Vicksburg, Mississippi. There is another Mississippi Blues Trail marker a few blocks west on Clay Street commemorating the Blue Room. The back of this marker gives some more details about the Red Tops. 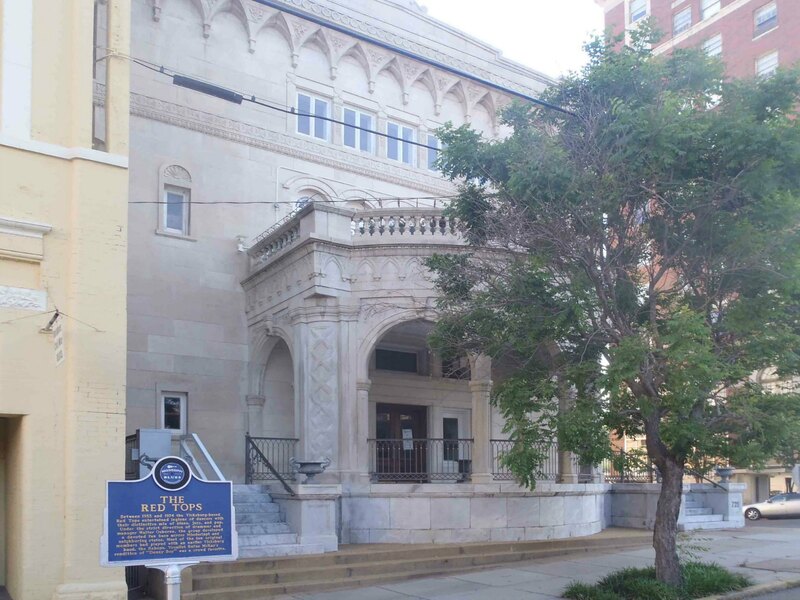 They played regular dates in two buildings at this site: the BB Club, located in the B’nai B’rith Literary Club at 721 Clay Street, and the Hotel Vicksburg, located at 801 Clay Street on the northeast corner of the intersection of Clay and Walnut Streets, just across Walnut Street from this marker. The Red Tops’ name came from a tune called “Red Top” which became a hit for tenor saxophonist Gene Ammons in 1949. The Red Tops achieved great popularity in Mississippi as a live act but, surprisingly, did not make many commercial recordings, except for one single, “Swanee River Rock“, backed with “Hello, Is That You?“, recorded at Sun Studio in Memphis in 1957 and released on the Sky label, based in Greenville, Mississippi. Here’s a link to YouTube video of the Red Tops’ 1957 recording of Swanee River Rock, and links to other covers by Ray Charles, Billy Lee Riley, Bobby Brown & the Clowns and Fats Domino.